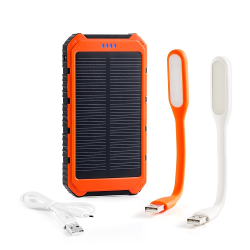 The following selection of solar powerd cell phone chargers, solar cell phone power banks and solar accessories had been created as a companion to our two portable power related feature posts: Best Portable Charger - What is a power bank, what to look for when buying one and Top 10 Amazon Best Power Banks Selections, Cell Phone Portable Charger Bestseller List The compilation of Amazon's best in solar charging technology includes portable chargers with integrated solar charging panels and stand alone solar chargers that provide a standard 5V DC current via USB port. 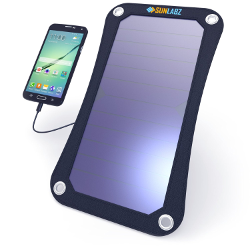 With recent advances and improvements in solar power technology many of those devices become a viable source of power for our cell phones. In some cases we could use it as an addition power source but in other situation they could potentially become a main source of power for our phones, cameras, speakers and other electronic devices. 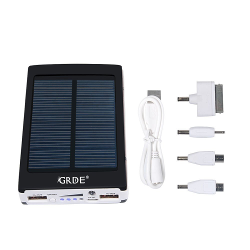 We felt that we owed our readers a comprehensive collection of such solar power enabled devices. If you have any suggestions for our list addition, questions or requests, please leave us a comment at the end of the post. 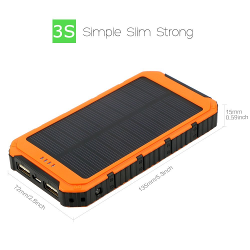 Includes 4000mAh USB Battery Backup Bank. 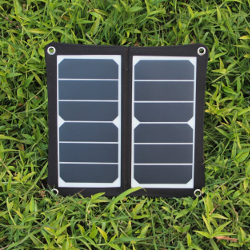 Rugged monocrystalline solar panel, 6.15W peak at 6V, waterproof, lightweight, and coated in self-healing urethane. 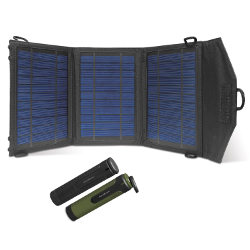 Compact, lightweight solar roll with integrated high capacity (2200mAh) Li-Ion battery. Touch screen and 4 blue light indicators. The exterior is made of leather sheath and ABS. Build-in grade A lithium polymer battery cells. 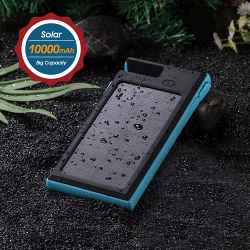 Solar Panel Charger Rain-resistant and Dirt/Shockproof Dual USB Port. LED flashlight works perfectly in darkness. 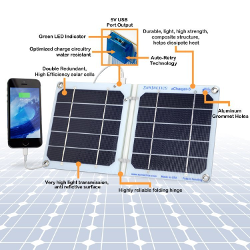 Grade A cell, Build-in 12000Ah Lithium Polymer battery which chareges via a powerful 1.7W monocrystalline solar panel. 2 USB output ports enable two devices charging simultaneously, respectively a 1.0A port and a 2.1A port. 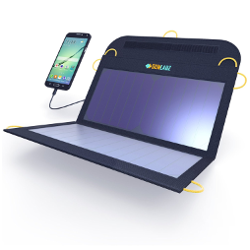 Solar panel should be used as a secondary charging source. 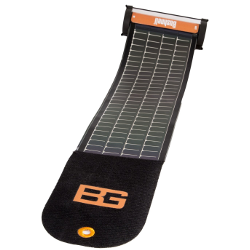 Sport solar panel charger is uniquely constructed with integrated Li-polymer battery. 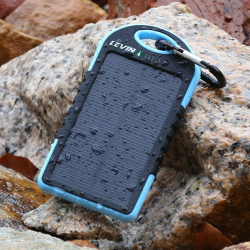 The first rain-resistant &shock-proof portable solar charger in the world. Lithium Polymer battery. Dual USB output can charger two devices simultaneously. Phone Dock Function provides phone stand when needed. Dual USB Port: 2A and 1A. Compatible with Phone 6, 6+, 5S, 5C, 5, 4S, 4. LED flashlight, 4 LED status lights. Dual output, two usb port charge 2 devices at the same time. 1.3A and 2.1A. 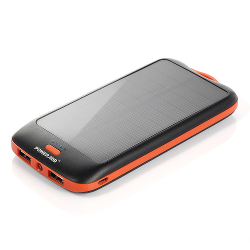 Solar charging should be used as a secondary recharging method. 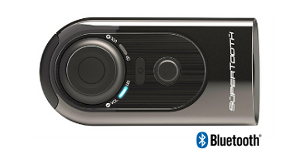 Dual USB Port: 1A and 2A. Equipped with an over-charge protection to extend the battery life effectively. 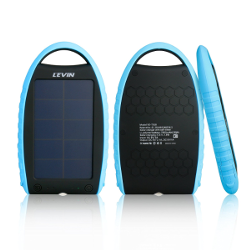 Built-in 10000mAh high capacity rechargeable Li-Ion battery. LED power indicator. 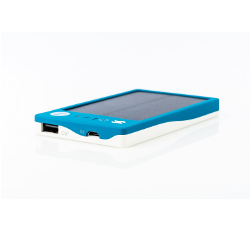 Equipped with an over-charge protection which effectively extending the battery life. 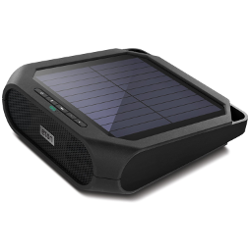 Charge your smartphone, tablet, and music player. Lithium-Polymer battery. Ergonomic design for easy handle by one hand. Dual USB Ports. 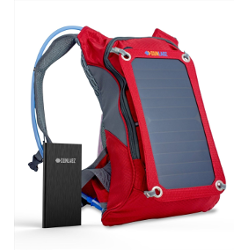 Crafted to withstand adventure, the solar power backpack is more than a solar battery charger. It is also a bladder backpack, with a 1.8L hydration pack. 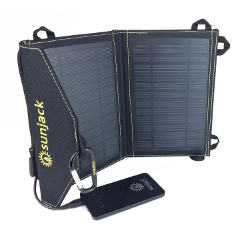 Suntactics sCharger-5 Portable Solar Charger, Light Weight, Waterproof, Durable. 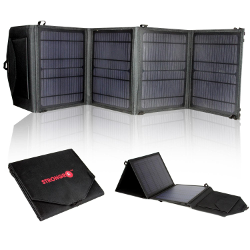 The most efficient, highest quality and reliable solar chargers on the market. Safe Auto-Retry Technology. 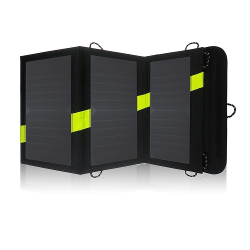 LB1 High Performance 28W Solar Charger Foldable High Efficient Monocrystalline Panels. 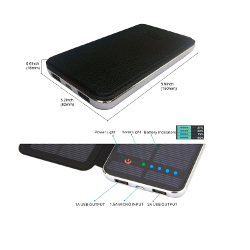 Solar recharger can detect what type of device you've plugged in. Anti-scratch polyester canvas can stand up to demanding conditions. 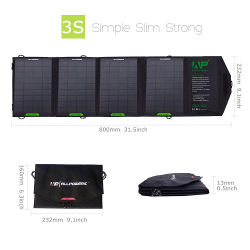 10 Watt high-efficiency solar panel with foldable design. Built-in dual USB charging ports. Bonus 2-pack 3,000 mAh battery packs included. 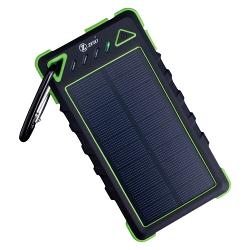 21W 2-Port USB Solar Panel Charger. 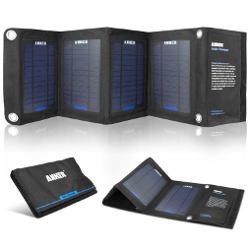 Industrial-strength PET polymer faced solar panels sewn into a rugged polyester canvas. 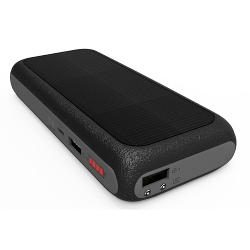 4,000mAh lithium-polymer fast-charge battery fully charges in ~5 hours. 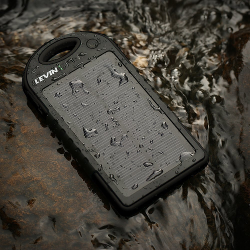 Lightweight and durable - shock, vibration, and weather resistant. Mady by GigaWatt. 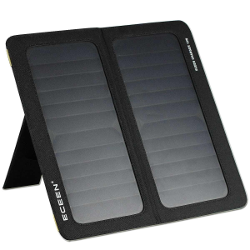 ECEEN® 13W Solar Charger Foldable Portable Solar Panel With Dual USB Output Charge. USB output design supports charging 2 devices simultaneously in 1.6A total (MAX). 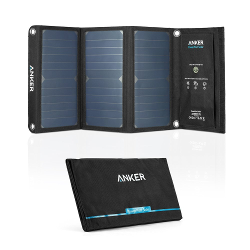 Constructed of SUNPOWER® solar cells, up to 22% efficiency provides 2A output (MAX). 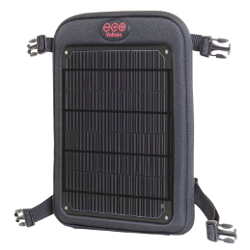 The panel comes with 4 carabiners and 4 suction cups for easy attachment to your camping accessories. PVC fabric finished with a scratch and damage resistant hardened coating. 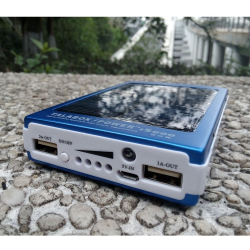 Two ports with max 3A total output with iSmart Technology. Water-resistant and mould-resistant nylon to endure all weather conditions. 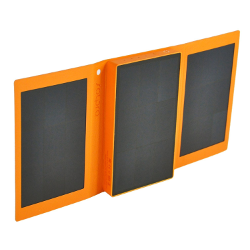 Slim and Powerful (22% - 25% efficiency): 1/3 lighter than the same power from silicon panels. iSolar Technology can automatically adjust the current and voltage. 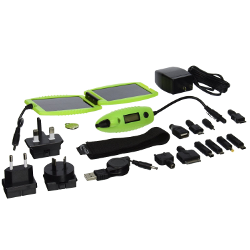 PowerIQ(TM) Technology: Detects your device to deliver its fastest possible charge speed. 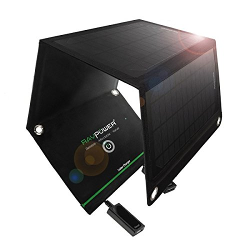 14 watt monocrystalline solar array. 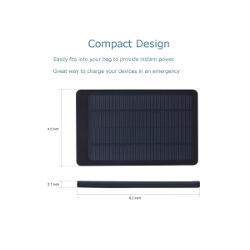 16 watt monocrystalline PET solar panel provides enough power to charge cellphone and ipad at the same time. PET Anti-scratch hardened technology. PowermaxIQ Technology automatic recognizes and adjusts charging speed. 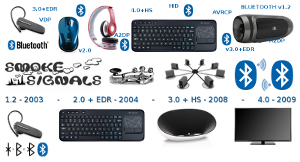 Water Resistant design;Ultra lightweight;ultra compact and ultra portable. Crafted from sport quality PVC fabric finished with a scratch and damage resistant hardened coating. Ireneusz Janek is a participant in the Amazon Services LLC Associates Program, an affiliate advertising program designed to provide a means for sites to earn advertising fees by advertising and linking to amazon.com.